Popcorn is one of our favorite snacks during the movie time, whether at home or in the cinema. Most of us will buy packets of popcorn and cook them in the microwave oven. It’s easy and fast. But there are always situations where things don’t turn out satisfactory: kernels getting burned or un-popped, greasy bags making things messy and so on. Sometimes you may want to add more flavors to the prepacked popcorn to make it tastier. No worry! The CrazyRussianHacker comes up with 5 popcorn life hacks that will help to solve all those problems. Follow the video below and see how these life hacks will totally change your way of making and enjoying fresh popcorn. Enjoy! Are you going to give this a try? 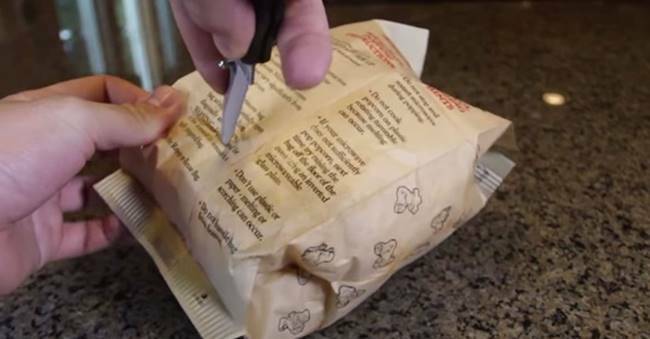 Please share these awesome popcorn hacks with your friends and family!